Last night my mind refused to shift gears and go into serene mode. I tried the usual harbingers of sleep - reading, my 'sounds of the forest' app, ice cream & honey...nothing worked. Finally I just stared at the ceiling until a slow moving universe of dust and particles began making their way across my field of vision. This, in conjunction with the wistful soundtrack of loons and owls playing in the background and the soft hum of honey still in my throat, made me feel too existential - and miles away from calm. So, onto movie watching. Immortal Beloved: Gary Oldman + Isabella Rossellini x gorgeous music and a tragic love story. It doesn't get much better. I could watch this movie over and over and over...And after a slice of pie, which I'd previously forgotten about, everything was symmetrical. Theories of the cosmos, the "why am I here(s)?" and worries of an encroaching Andromeda galaxy, were put on the back burner of my mind's rusted crimson stove. Pies are kind of a happy homestead - I don't think anyone can eat a slice of made-from-scratch pie and not feel idle and content - if only for a short time. This pie doesn't scream summer. It whispers it, seductively. It's a deep intellectual beauty that doesn't bother fussing about outward appearances (*ahem* mine was a bit lopsided). If apple pie can be found on the tables of fairs and gatherings, this peach pie would be blithe enough in a cosy café/used bookstore, alongside Dorothy Parker, Hemingway and, my personal favourite, Mr. Wilde. The crust is all butter and except for a small splash of ice water, it's made with buttermilk - so the flavour has a slight twangy aftertaste. For the filling I used a mix of white peaches, apricots, and plums. Please feel free to use whatever stone fruit you have on hand (nectarines would be fab too!). Whatever fruit you decide to go with, I think you will adore this pie. 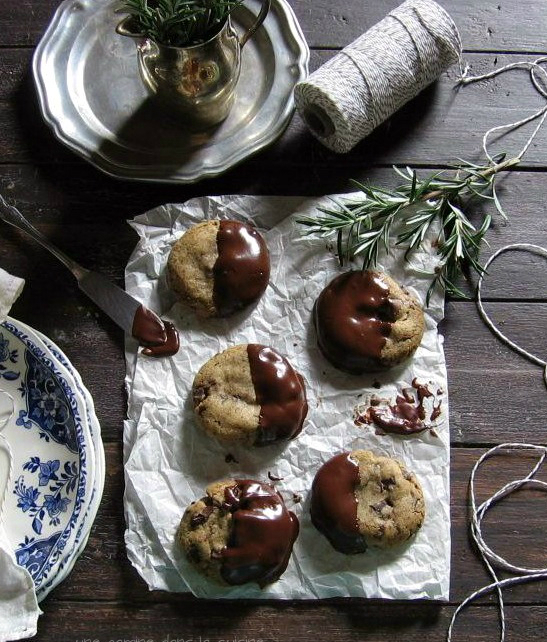 It's everything summer should be - tender, sweet, slightly disheveled + always comforting. Prepare the crust: In a large mixing bowl, whisk together the flour, sugar, and salt. Add the cold cubes of butter and toss until evenly coated with the flour mixture. Transfer everything to the bowl of a large food processor. Pulse in quick bursts until you're left with a very crumbly, cornmeal-like mixture (it will look very dry). Transfer everything back to the large mixing bowl and place into freezer for about 20 minutes. When the dough is just about ready to roll, prepare the filling: In a large mixing bowl, combine the chunks of *fruit, both sugars, almond extract, and corn starch. Gently stir until well- combined. Set aside as you prepare the crust. Position the oven rack in lower 1/3 of the oven. Preheat to 400 F.
Brush the top crust (or lattices) with the beaten egg yolk and sprinkle with 1 Tablespoon of granulated sugar (if desired). Bake for 45-55 minutes, or until the filling is bubbly and the crust is golden brown. If the edges are browning too quickly, cover them with a loose foil tent or pie protector. A splendid pie! Stone fruits are delicious. I made the crumb cake - marvelous. This pie maybe next week. Thanks, summer fruit! Your pie is so pretty, I wish we could trade slices and drink lemonade on the porch :). Love your mixed stone fruit filling! Girl, you are a poet! 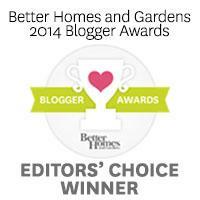 I so enjoy visiting your blog and reading your posts. And, I love (love!) stone fruit summer pies, twangy aftertaste and a slightly disheveled look. In my book, "from scratch" pie wouldn't be pie without the messy beautiful disheveled part! Love that you used buttermilk in your pastry. I'm SO looking forward to featuring some summer pies, soon! Pining for tart cherries (another stone fruit) from my native Michigan right now! Thanks for sharing, Valerie! 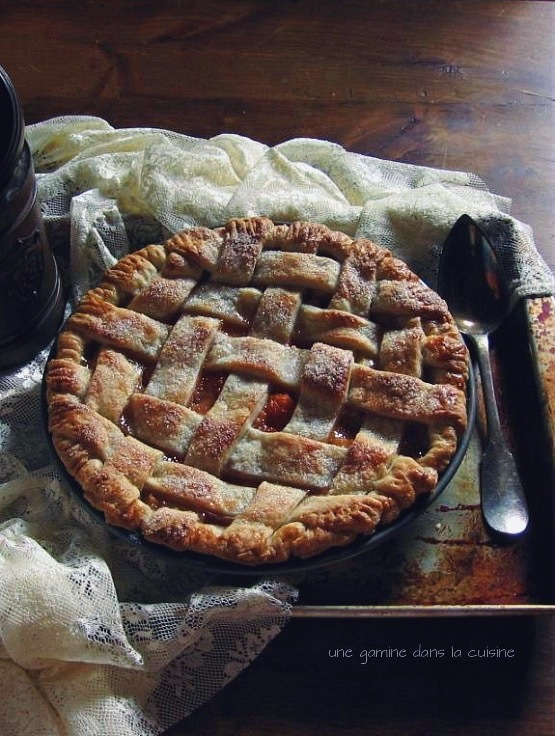 Gah, this looks delicious and, despite what you say about being lopsided, the lattice crust is beautiful. I've never made a stone fruit pie, but I'm feeling inspired right now! Is there anything better than a slice of pie in the summer months? I think not :) I love the combination of fruit you used in this one, and the buttermilk crust sounds lovely! I don't watch movies... I diagnosed myself with every ADD, ADHD possibility out there. I can't sit for that long and stare at the screen. Just can't. BUT, but but! I want to do the lattice thingamajig like you!! 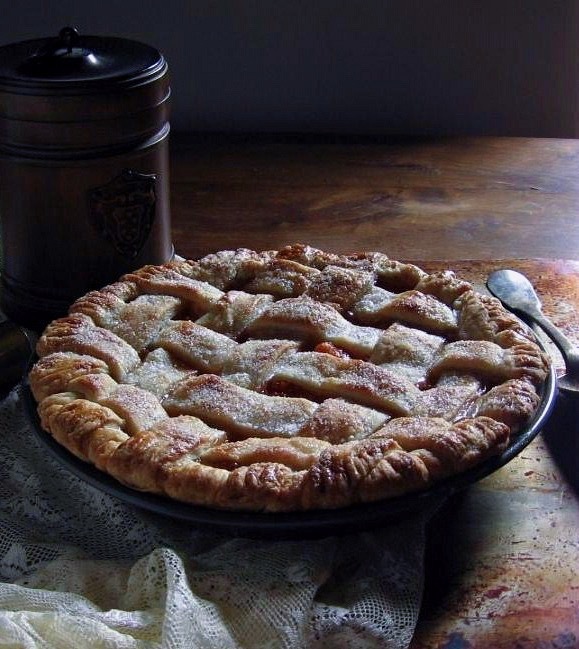 This pie is seriously gorgeous! I looooove the photos, my friend. They're moody and inviting... love that! You make insomnia sound wonderful! I mean, honey, ice cream, dreamy movies...what's not to love? Obviously I'm a sucker who's been sleeping at night instead of doing all the fun stuff. :) Seriously, though, this pie looks wonderful. I think it's just the thing for the pounds of peaches and nectarines I keep "accidentally" over-purchasing. This pie is literally dreamy, Val! There's a certain mystery to it, if that makes sense…maybe it's the gorgeous peaceful photos. Beautiful!!! I love the homey power of pie. This is lovely. summer = slightly disheveled <= best description for it. i'm in love with the lattice topping. ahhh, I need to make your crumb cake and now I totally need to make this pie. Maybe I'll just do it all at once and eat myself into a sugar coma. Beautiful pie Valerie. And a great way to spend the evening in contemplation. I might have to watch Immortal Beloved sometime soon too! 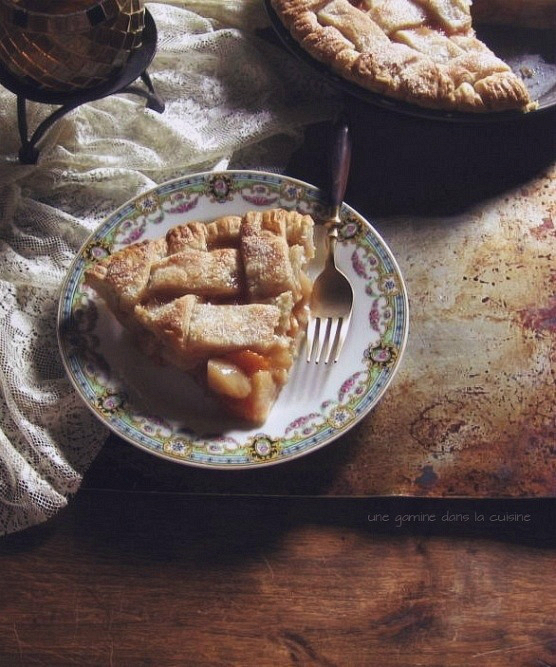 Is there anything lovelier than peach pie? Yours looks perfect, and I hope it helped you find that serene mode. The only question I have is this - how on earth did you forget about a pie? I love summer pie baking. Always fun to see what the food bloggers come up with next. And I still haven't made a buttermilk crust....imagine that. 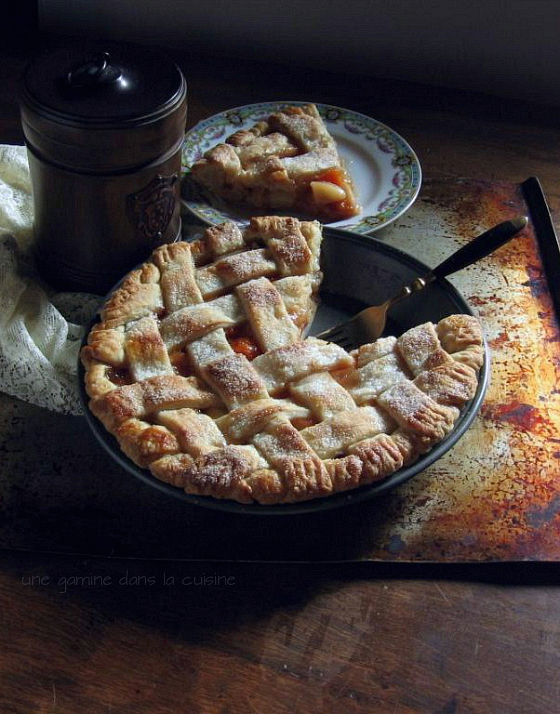 Stone fruit pie sounds amazing, especially now that they are in season and very abundant. I love that you used buttermilk in the crust, I've never done that. I'll have to give it a try. this look amazing and delicious!! Amazing delicious looking pie right here. I'm looking forward to peach picking here in Arkansas!! This is spectacular, Valerie. Such a perfect, dreamy summer pie!